If you’re feeling a little down and out thanks to this terrible weather, here is a little travel candy to brighten up your day! These four private islands are resorts that you can actually book and stay at! Can you imagine yourself spending a fabulous, relaxing week at one of these four resorts? I sure can! Photo courtesy of The Brando. Located 30 miles north of Tahiti and accessed by private plane. 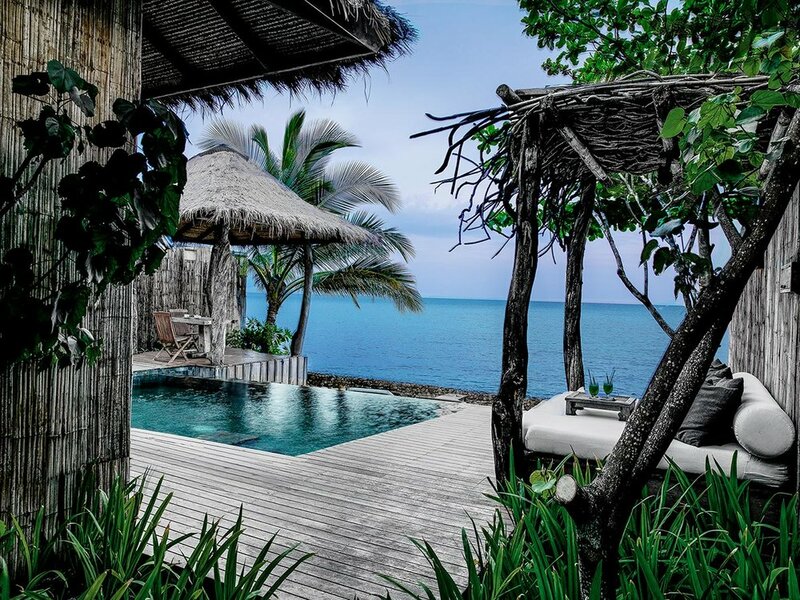 The Brando is the perfect luxury escape in French Polynesia. Marlon Brando fell in love with Tetiaroa while filming Mutiny on the Bounty and became determined to make the island his home. In 1999, he began creating the ultimate luxury resort which focuses on creating authentic, relaxing and enriching travel experiences. Photo courtesy of North Island. North Island is an extremely fertile and natural gorgeous island in the Seychelles. The resort features only 11 villas which means privacy and personal services abound here. If you’re looking to relax with spa services, private beaches and amazing food, then head to North Island now. If you’re also looking to snorkel, scuba dive and practice yoga in almost complete privacy, North Island is also for you! If you’re looking for a private island resort that is only a couple of hours from New York City, then COMO Parrot Cay is your spot. This resort recently underwent a refresh with updated rooms and public spaces. The island is perfect for escaping it all with no cars, streetlights or pollution as well as perfect white sand beaches. If you need a quick island escape, COMO Parrot Cay is the perfect destination. Photo courtesy of Song Saa Collective. This private island is located 45 minutes by speedboat from Sihanoukville. The resort offers only 24 villas each with a private pool and spectacular views. Opportunities for snorkeling, scuba diving, cooking, kayaking, trekking and exploring abound in this pristine nature reserve. Guests can also head to the nearby conservation center or experience a Buddhist blessing ceremony. Come to Song Saa to give back to the community. Turn off your phone, ipad and computer and truly escape the noise! Interested in escaping to a wonderful warm paradise, contact me here! Older PostDon’t Waste Time Waiting in Line at the Airport!